Sri Lanka is and has been one of the top travel destinations in the world for it’s natural beauty and affordability for the majority. Tourism stayed on it’s peak serving various traveler purposes from adventure, leisure, educational, inter cultural exchanges to medical tourism and much more for the past decades. Colombo Conferences – Meetings Conferences Exhibitions & Event Management Company in Sri Lanka is trying to promote Sri Lanka as a MICE destination. Today, people and their lifestyles revolve around the corporate world with the vastness and collaboration of economies which have created a huge path for the corporate travel field. Business gatherings for various purposes depending on their relevant industries makes more and many different events happens in all parts of the world and Colombo, Sri Lanka is also becoming a popular destination for MICE tourism, Corporate world and Events & Entertainment industries of the world. There are dozens of 5 Star class hotels under construction or in development in Colombo today. About considerable amount of the city’s inbound visitors are convention delegates. The Global Livability Report 2017 released by ‘The Economist Intelligence Unit’ (EIU), the group’s research and analysis division, showed that Colombo stood at fifth place in the list of ‘five biggest improves’ for having successfully transformed its landscape over the last five years. In 2015 Colombo has been placed on top of the list of fastest growing cities in the world, The MasterCard Index of Global Destination Cities; an annual travel study by the MasterCard. According to Prageeth Hewage, Managing Director of Colombo Conferences, a leading event management company in Sri Lanka said that the demand for the meetings and conventions has a lot to do with the unique natural beauty of the island, friendly locals and the calm peaceful environment. 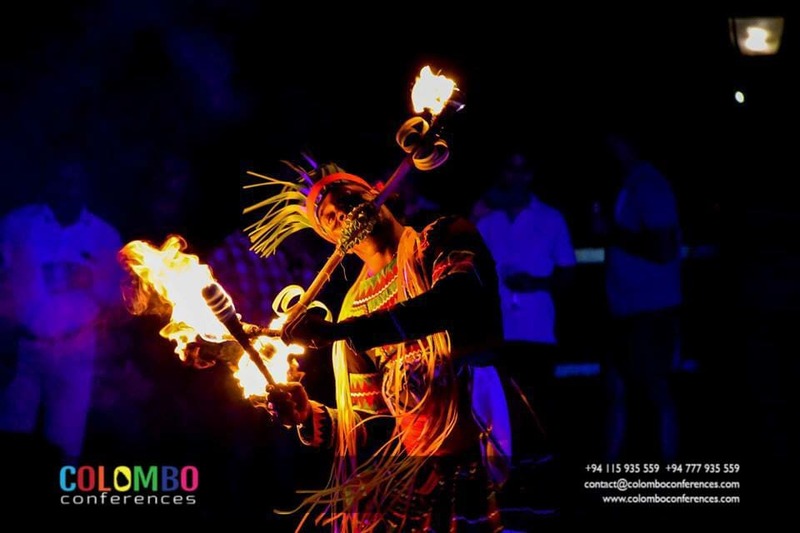 This makes it the ideal M.I.C.E destination for corporate creating an experience of travel, recreation and entertainment with a touch of unique traditional culture. We were happy to provide our local expertise for global companies like HP, Saint Gobain this year. Last year 2017, we were able provide our expertise in organizing Indian Ocean Conference, an annual summit participated by head of states from nearly 45 countries which makes not just corporate but also NGOs and other non profit global organizations chose Sri Lanka as conference destination. “We know that our guests want a unique, authentic, different experience. We make sure that we give them the best of Sri Lanka. We have a rich culture and traditions preserved for more than 2500 years”, says Prageeth.